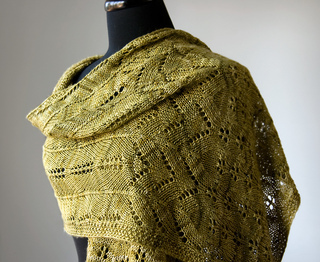 The Sweet Oak Shawl, named after the Sweet Oak Cardigan, is a rectangular shawl with handsome openwork stitch patterns and a seed stitch border. 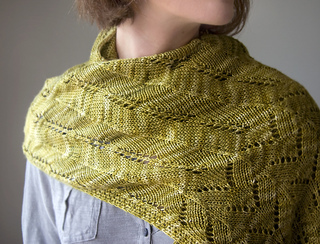 Wear it as a shawl, or as a luxurious scarf. 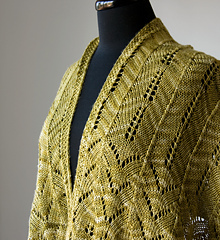 As you work, you progress through four easy-to-work stitch patterns that flow out of each other towards the center. 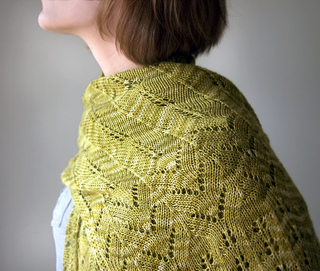 Stacked decreases form subtle ridges that continue throughout the shawl, and form gentle waves. 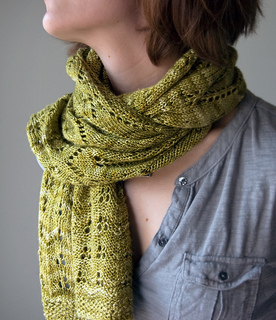 A great way to show off hand-dyed yarns. Worked in two halves from the bottom up and grafted at the center. Easy to modify the size. Sport weight yarn 3 skeins (each 100gm/250m). Shown in Sweatermaker Yarns Silk 5/2 100% silk. 23 sts = 4 inches of stocking stitch. 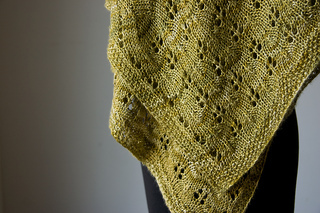 Shawl will expand slightly when blocked.